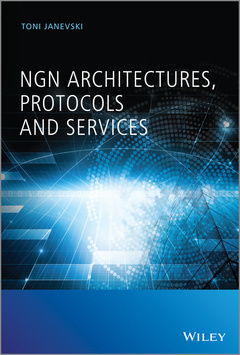 Comprehensive coverage explaining the correlation and synergy between Next Generation Networks and the existing standardized technologies This book focuses on Next Generation Networks (NGN), in particular, on NGN architectures, protocols and services, including technologies, regulation and business aspects. NGN provides convergence between the traditional telecommunications and the Internet, and it is globally standardized by the ITU (International Telecommunication Union), where ITU is the United Nations specialized agency for Information and Communication Technologies –, ICTs. The convergence towards the NGN is based on the Internet technologies, and the introductory chapters cover the Internet fundamentals of today, including architectures, protocols (IPv4, IPv6, TCP, DNS, etc. ), Internet services (WWW, e–mail, BitTorrent, Skype, and more), as well as Internet governance. Further, the prerequisite for convergence of all ICT services over single network architectures is broadband access to the Internet. Hence, the book includes architectures of fixed broadband Internet access networks, such as DSL (Digital Subscriber Line) networks, cable networks, FTTH (Fiber To The Home), next generation passive and active optical networks, and metro Ethernet. It also covers network architectures for next generation (4G) mobile and wireless networks (LTE/LTE–Advanced, and Mobile WiMAX 2.0), then Fixed Mobile Convergence – FMC, next generation mobile services, as well as business and regulatory aspects for next generation mobile networks and services. Comprehensive coverage explaining the correlation and synergy between Next Generation Networks and the existing standardized technologies Focuses on Next Generation Networks (NGN) as defined by the ITU, including performance, service architectures and mechanisms, common IMS (IP Multimedia Subsystem), control and signalling protocols used in NGN, security approaches, identity management, NGN Service Overlay Networks, and NGN business models Examines the most important NGN services, including QoS–enabled VoIP, IPTV over NGN, web services in NGN, peer–to–peer services, Ubiquitous Sensor Network (USN) services, VPN services in NGN, Internet of things and web of things Includes the transition towards NGN from the PSTN (Public Switched Telephone Networks) and from the best–effort Internet via the same Internet access Explores advanced topics such as IPv6–based NGN, network virtualization, and future packet based networks, as well as business challenges and opportunities for the NGN evolved networks and services Essential reading for engineers and employees from regulatory bodies, government organisations, telecommunication companies, ICT companies.